Catit Senses Food Tree is a fabulous addition to the circuit. An upright puzzle, this toy is interactive and makes an excellent boredom busting food maze toy. Stimulating natural hunting behaviour, you’ll find your cat pawing, swiping and sniffing the maze to try and get to the treats inside. Now with a new and improved design, the Food Tree will stand steadfast on it’s wide, durable base. Playtime doesn’t have to be cut short because the tree has fallen – keep them entertained for hours on end. 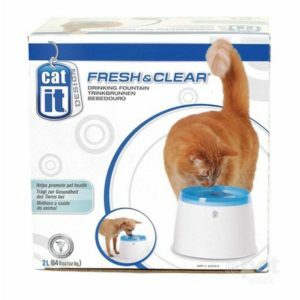 The narrow top opening is easy to put treats in, but impossible to retrieve treats out of, meaning added difficulty for your playful puss. Watch as the small pieces of kibble or cat treats scatter throughout the tree or fall to the bottom reservoir. 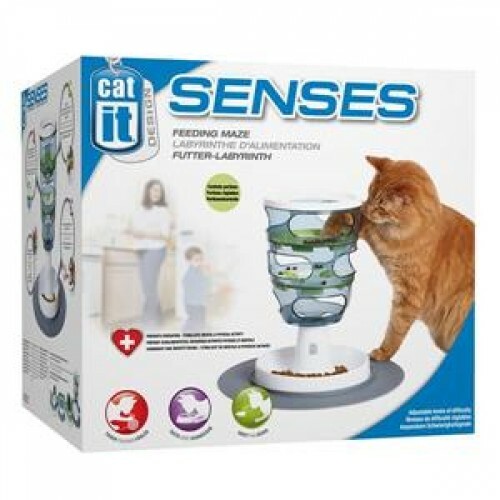 As your cat moves the food through the maze by pawing at it through the side openings. As the food moves through the maze, it collects in the food tray at the bottom.